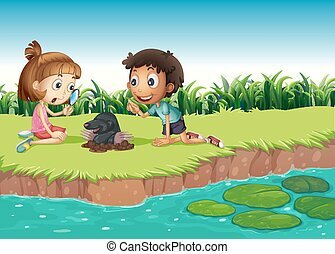 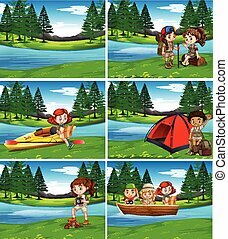 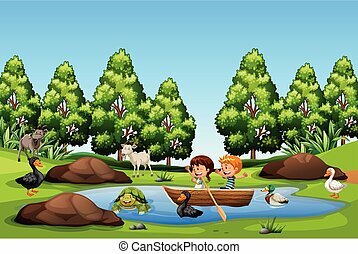 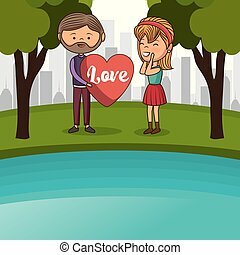 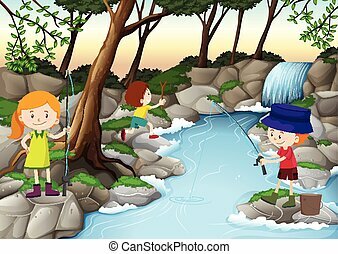 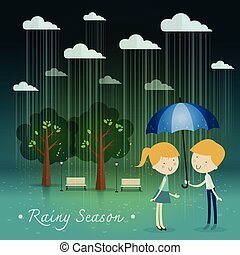 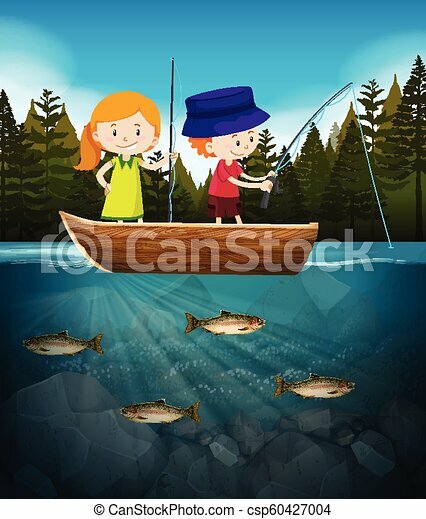 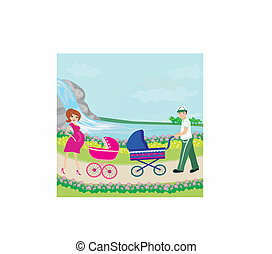 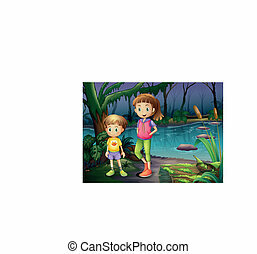 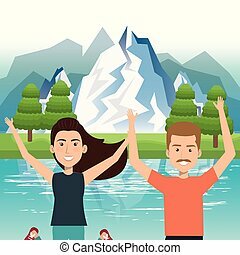 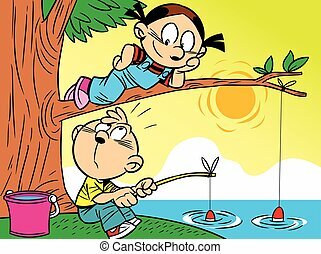 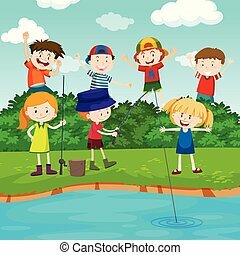 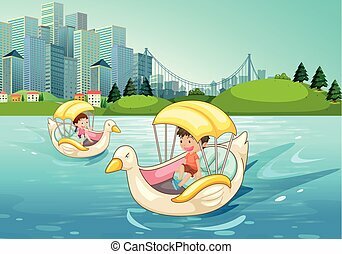 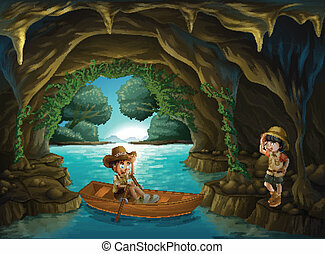 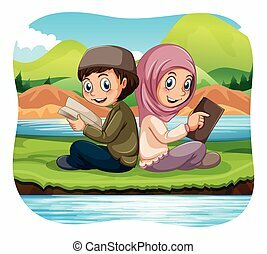 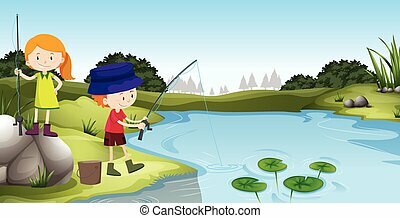 Boy and girl fishing in the lake illustration. 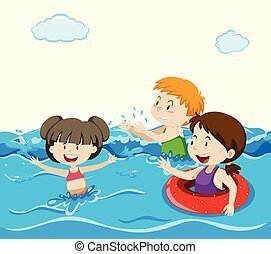 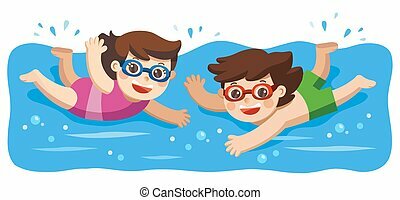 Cheerful and active little Boy and Girl swimming in the swimming pool. 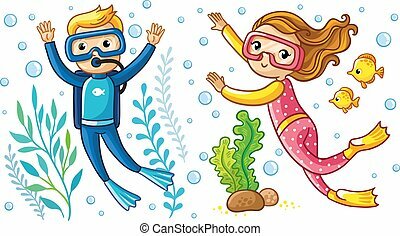 A boy and a girl swim under the water in a scuba diving with fish. 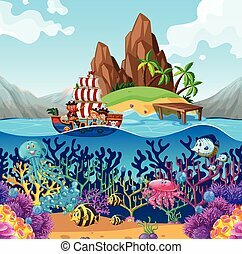 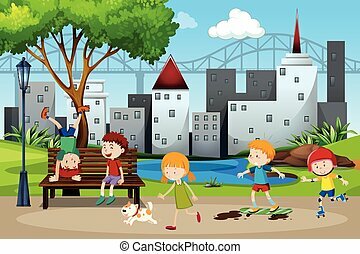 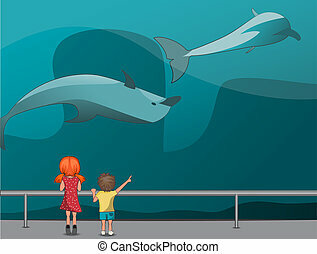 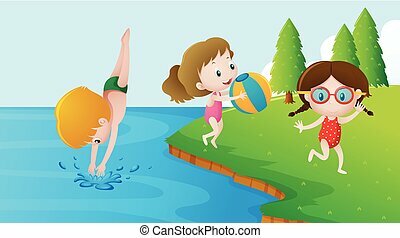 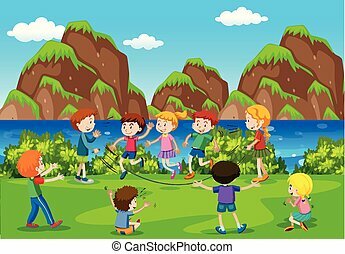 Vector illustration with children diver.